The finely cast and finished ornament of this ornate timepiece boasts a draped classical female figure, a cornucopia, oar, anchor, shell, and wreaths, which all together suggest the theme of the sea's bounty. 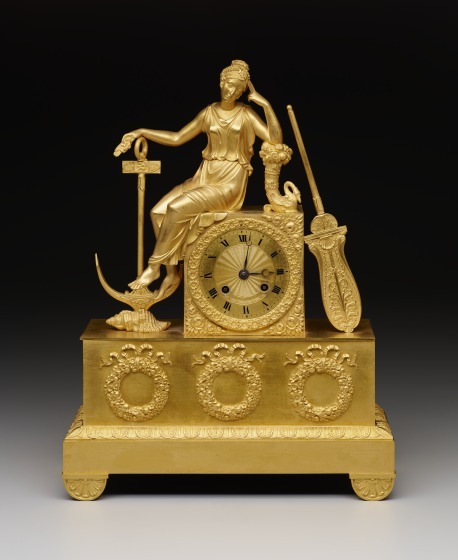 This clock was exported from France to the United States in the early 19th century, and was purchased by jeweler and watchmaker John A. Roche of Baltimore, Maryland. 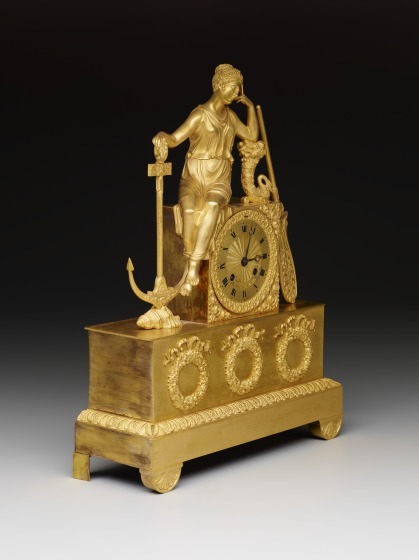 Few French clocks now in the United States can be traced to early American owners. Allied with France during the Revolutionary War, the United States sought to distance itself from its former status as a British colony. 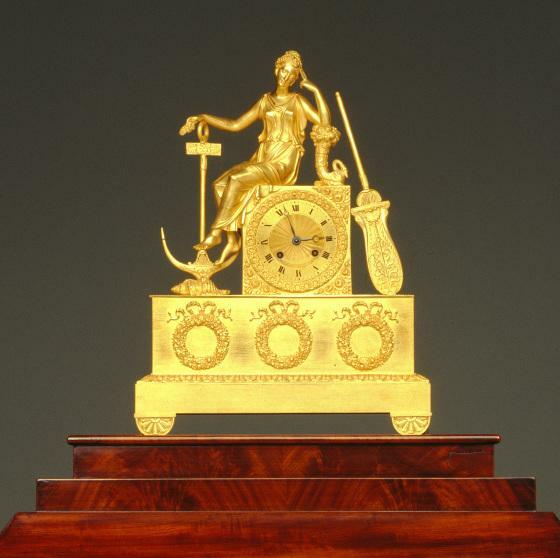 Because of this, during the late 1700s and early 1800s French luxury goods such as this clock became important and fashionable symbols of American independence and taste. Consequently, French art and design was increasingly influential in the United States during the late 18th and early 19th centuries. In cities like New York, Philadelphia, and Boston, native craftsmen began making furniture and silver in the French taste as well as importing large numbers of French luxury goods. This mantle clock is an example of the high quality of some of the objects shipped to the United States. Kevin W. Tucker, DMA Label copy, 2006. Charles Venable, DMA unpublished material, 1997. 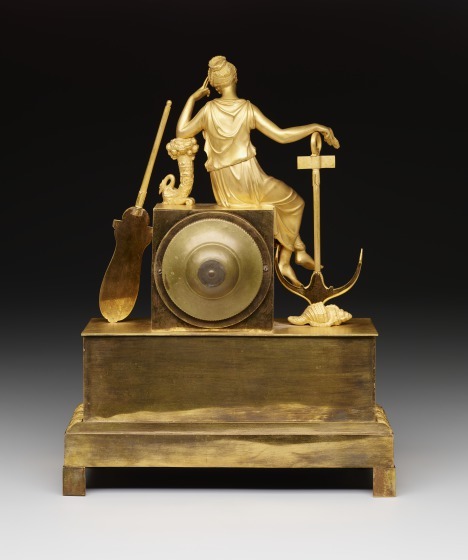 Charles Venable, "Mantel clock," in Dallas Museum of Art: A Guide to the Collection, ed. Charles Venable (New Haven, NJ: Yale University Press, 1997), 223.